I have a dilemma. My running friend and I signed up for the Suffolk Marathon on Long Island. It’s flat, and we planned to do it together. However, she got into the New York City Marathon, and I did not, so I decided to run NYC with her for charity. 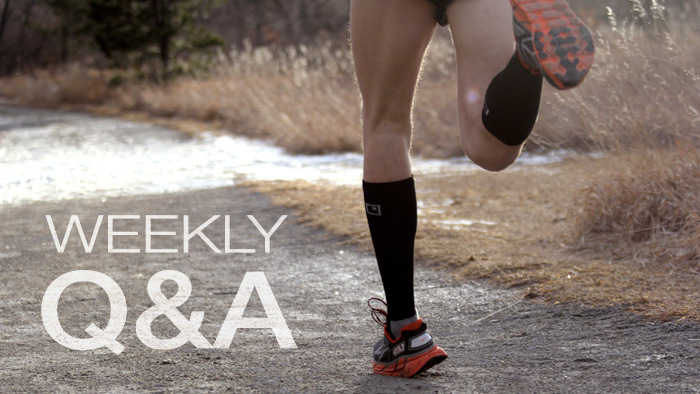 Do you think it's advisable to run both marathons since they are only seven weeks apart? I guess we could drop down to the half for Suffolk, but we both want to do the full. Are we crazy to do two marathons in such a short period of time? I suspect you already know my answer—or hope you know my answer, because there is no way I am going to tell you to downsize. My daughter Laura has gotten rejected three consecutive years by NYC, so I know how much gaining entry into that iconic race means to runners. Yet your original focus was Suffolk, so why not continue with those plans. I love it when two (or more) runners decide to do a race together. Here’s your plan: Pick one to race and the other where you hand-slap the spectators. Every marathon does not need to be run on the edge. Over a long career, I have run many marathons where I coasted home 30 or 60 minutes slower than my best times. When you treat a marathon as a 26.2-mile workout rather than a 26.2-mile race, you can skip the agonies of the taper and carbo-load as well as the stiff legs afterwards. Let me recommend the Multiple Marathons program on my Web site, which suggests how to train when you have 2, 4, 6 and 8 weeks between marathons. TrainingPeaks also has interactive versions for those intervals as well as 3, 5 and 7 weeks between marathons. My approach would be to run Suffolk for a fast time, then do NYC at less than warp speed. Your choice.